A walk through the forest reveals a wonder of shapes, sounds and colorsinfinite variations on shades of green. Little-used trails don't last long because the exuberant vegetation soon takes over. 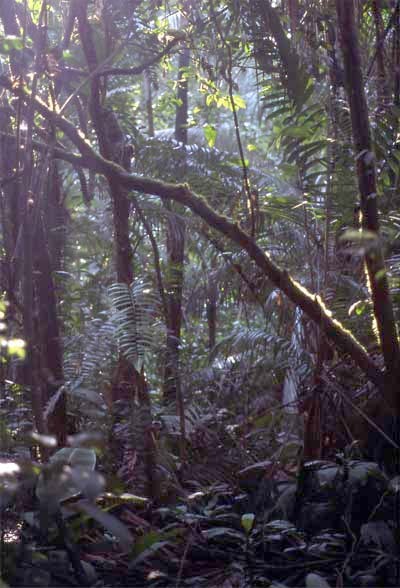 Much of Amazonia is covered by forest that looks much like this. But appearances can be deceptive. Superficially similar, different areas of forest harbor different communities of plants and animals. The closer you look the more you see. This cannot be conveyed with a photograph, nor can the sounds or smells. 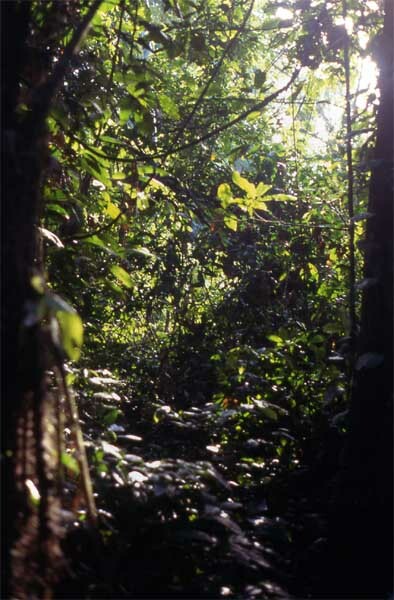 A walk through the rainforest reveals a richness and depth of nature beyond description.